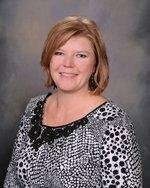 Mrs. Christie Knight, Secretary to the Principal/Bookkeeper, was installed as the 36th President for the South Carolina Association of Educational Office Professionals Organization on Saturday, March 3, 20018. Congratulations, Mrs. Knight, we are extremely proud of you! ‪#‎WeAreNES! NES joins Alliance for a Healthier Generation's Healthy Schools Program Download the NES app to keep up with the Rockets.